Home » How is Rehab Different From Detox? What is a Detox Program Like? Evaluation: A physician will evaluate you to determine what substances you have been using, how long you have been using them, and in what amounts. They will also screen you for medical and psychological conditions that may affect your withdrawal experience. Thereafter, they will create a detox plan to address your individual needs. Stabilization: During this stage, staff members will administer medications and provide you with supportive care to help manage withdrawal symptoms and decrease the risk of serious effects. Transfer into treatment: Once you’re stabilized, the treatment team will help foster your transition into a rehab program that can help prevent relapse. Detox is a safe and effective way to get through withdrawal, but it does not cure you of addiction. Recovery begins in rehab, where you learn to identify triggers that cause you to use drugs. This helps you avoid and combat them in the future. What Approaches do Rehabs Take? Rehab can equip you with the coping skills necessary to resist cravings and triggers, as well as the motivation to make a positive change in your life. Rehab is how you build a strong foundation for a lasting recovery. That being said, no single treatment program is best for everyone. What type of program works for you will depend on a number of factors, such as location and cost. Outpatient treatment: You attend scheduled treatment sessions for a designated amount of time each week. 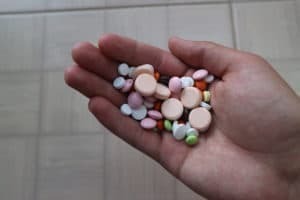 Some find this a great option because you can continue to fulfill obligations at home, work, or school while recovering from a substance addiction. 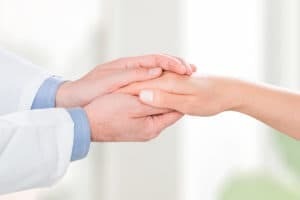 Partial hospitalization programs (PHPs): Also referred to as “day treatment,” partial hospitalization programs allow people to spend a specific number of hours per week in a hospital setting where they can receive medical and addiction treatment. Intensive outpatient programs (IOPs): Contrary to PHPs, individuals in an IOP are usually treated by nonmedical staff in a rehab facility. They receive between 6 and 9 hours of counseling services per week. Inpatient programs: Inpatient programs offer 24-hour supervision and addiction treatment. Participants stay overnight, often for several weeks, to receive services like group and individual therapy. Luxury rehab: These residential programs offer upscale services and amenities, such as gourmet meals, spa treatment, and massage therapy. Executive rehab: These residential programs cater to the needs of CEOs and other working professionals. They allow you to continue working while recovering from addiction. Holistic rehab: These services emphasize natural, homeopathic treatments rather than medications. 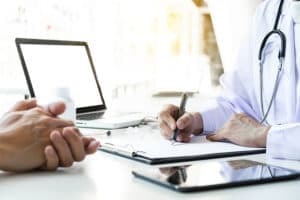 When you first enter a rehab program, addiction professionals will evaluate you to assess the severity of your addiction, as well as the presence of any co-occurring physical or mental disorders. Your treatment team will work with you to develop an individualized treatment plan that best suits your specific needs. There are many other possible services that largely depend on the type of program. For instance, if you are religious, you may find a faith-based rehab to be helpful. In these programs, staff members help you strengthen your spiritual foundation to overcome the cycle of drug abuse. Alternatively, there are also secular rehabs for those who aren’t particularly religious or spiritual. Further, if you’re someone who enjoys yoga, meditation, acupuncture, and more, you may want to consider enrolling in a holistic treatment center where you can focus on healing your mind, body, and spirit together. Cognitive Behavioral Therapy (CBT): CBT helps you identify and correct harmful behaviors. You will learn skills to identify substance abuse triggers and develop strategies for coping with them. Motivational Interviewing (MI): MI helps motivate people who are reluctant to change. Individual therapy sessions help you build a plan for change and develop coping strategies. Contingency Management (CM): CM motivates you to stay sober by offering small rewards in exchange for positive behaviors. Matrix Model: This model is designed for people addicted to stimulants. It focuses on building a positive relationship with a therapist who helps build self-esteem and self-worth. 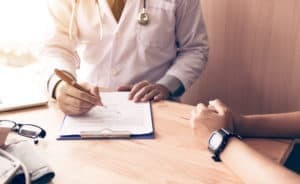 The type of therapy that will be best for you will depend on several factors, including the type of rehab program you choose. Different therapies work better for some types of addictions and co-existing mental health conditions. Some therapists have a preferred treatment strategy that they rely on. Substance abuse treatment typically follows a specific evidence-based path to success. People begin in detox, attend rehab, then continue to receive aftercare. Transitioning back to normal life after spending a few weeks in rehab can be jarring. People often feel confident in their sobriety when they leave rehab, but have difficulty adjusting to the normal stresses and triggers of daily life. Aftercare is a long-term plan to help you prevent relapse. How you choose to engage with various aftercare elements is up to you, but it is important to have a plan in place. If you develop cravings or have a setback, you will need a place to turn. This will give you your best chance of sustained abstinence. Detox, rehab, and aftercare are all different steps along the same path. If you are ready to quit using drugs or alcohol, these steps will give you your best chance of success. Addiction is complex, but it is treatable. Reach out to your doctor or a trusted love one and ask for help. Addiction treatment can change your life.